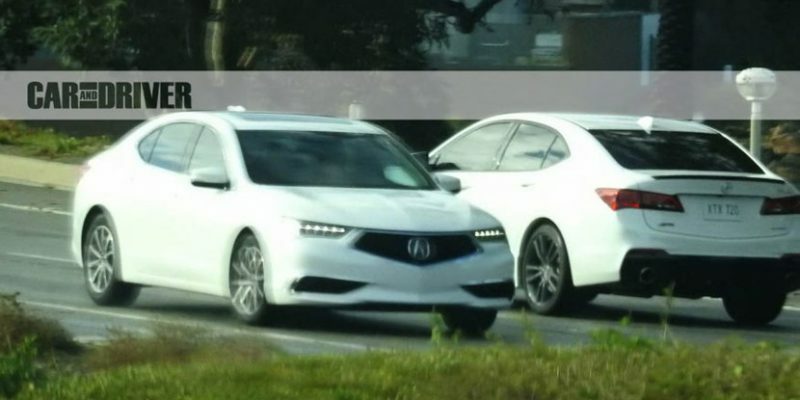 The 2018 Acura TLX has been spied once again, this time without any sort of camouflage. Captured by a photographer from Spiedbilde, the photos reveal three variants of the MMC TLX which were out on a photo/video shoot in Long Beach, California. As expected, the 2018 TLX gets a refreshed front with Acura’s signature diamond pentagon grille, and brings back exposed exhausts in the rear. There also appears to be a new sport model(Type-S?) that adds some serious styling upgrades – check out the exhaust tips and the rear diffuser on that one. If we had to guess what the badges on that model are, one looks like an A-Spec badge, and the other is an SH-AWD badge. At this point there’s only speculation about the added performance, but we hope it’s significant enough to match the looks. We hear the 2018 TLX will likely debut at the 2017 Chicago Auto Show in February, and will go on sale later this year.